The artists take a bow with Alejandro Cordero. Photo by Roey Yohai. Young artist programs frequently bridge the gap between conservatory training and the stage. The Teatro Colón, which has been for over a century at the apex of high art — from the symphony to ballet to opera — in Latin America, welcomes singers from across the region into a rigorous course of acting, vocal coaching, staging, and movement. Americas Society has for nearly a decade provided an intimate salon showcase of a selection of these voices each fall, following a competition held by Alejandro Cordero. 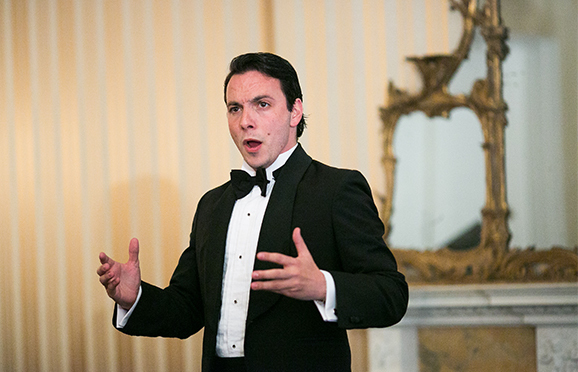 Such performances are part of Teatro Colón's commitment to incubating new artistry, from the practice room to the concert stage, and Americas Society gives New York audiences a glimpse into their budding careers. 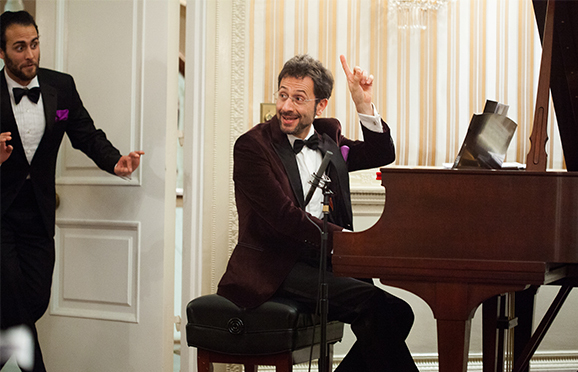 Pianist-vocal coach Marcelo Ayub leads the singers in a final number (2014). 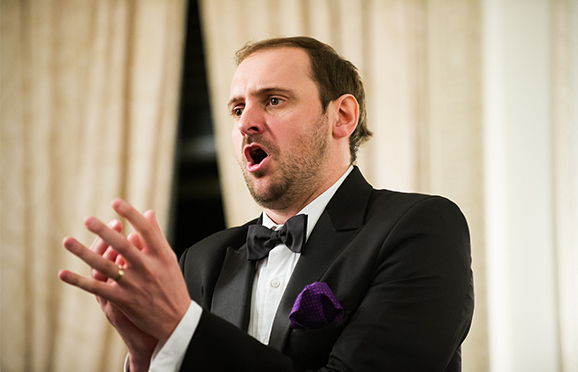 Baritone Sebastian Sorarraín sings Gounod (2009). 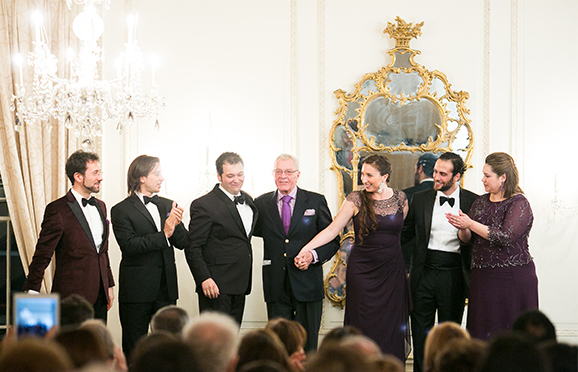 Alejandro Cordero takes a bow with Marcelo Ayub and the singers (2014). 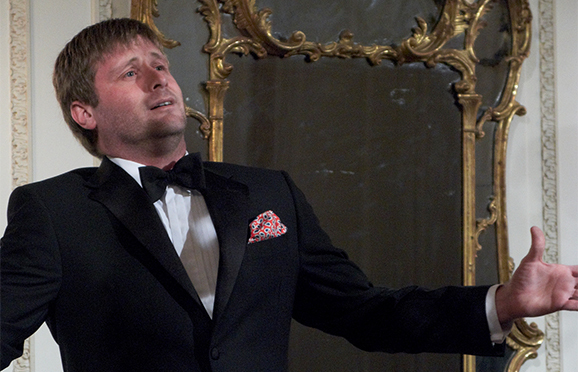 Duet from Lucia de Lammermoor with soprano Oriana Favaro and baritone Sebastián Angulegui (2010). 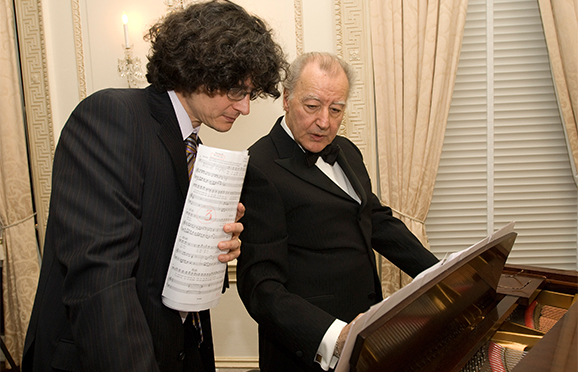 Vocal coach and pianist Bruno D'Astoli reviews page turns (2007). 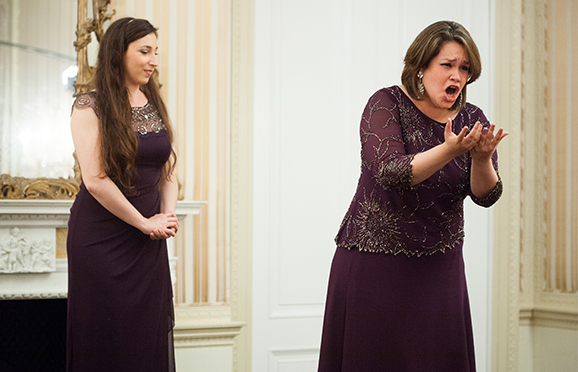 Duet from Madame Butterfly with Paraguayan soprano Monserrat Maldonado and Chilean mezzo María Luisa Merino Ronda (2014). Soprano Marina Silva in duet with baritone Fabián Veloz (2008). Classic Argentine tango with soprano Constanza Díaz Falú, tenor Nicolás Romero, and bass Gustavo Vita (2015). Baritone Gustavo Feulién will star as Marcello in La bohème this fall with Wichita Grand Opera. Bel canto tenor Santiago Ballerini (2012) and baritone Alejandro Spies (2013) recently starred in Teatro Colón's production of Die soldaten, and Spies headlined both the world and US premiere productions of Hercules en el Mato Grosso, produced by the Centro de Experimentación del Teatro Colón (learn more). Ballerini will cover two tenor roles at the Metropolitan Opera in the 2016-2017 season, in Barber of Seville and Don Giovanni. Also this fall, baritone Fabián Veloz stars in the title role of Verdi's Macbeth at Teatro Colón (learn more). 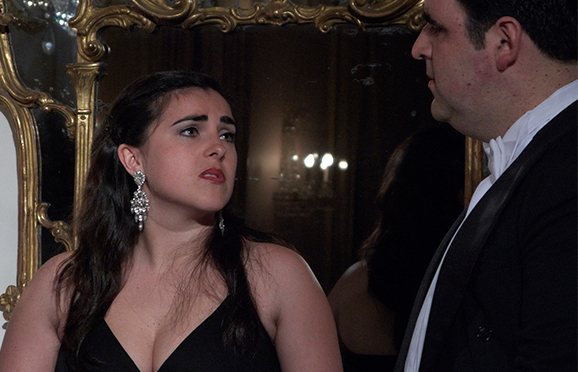 Over the last five years, soprano Laura Delogu (2011) has expanded her repertory into classics of the Baroque (Handel, Bach) into Romantic art song: this month, she performs a cycle of lieder connecting European art song with the traditions of Río de la Plata at Centro Cultural Kirchner. Monteverdi's 'Pur ti miro' from L'incoronazione di Poppea, with Lucas Villalba, countertenor, and Laura Delogu, soprano (2011). Negotiators were in Buenos Aires through March 24 to advance a deal 18 years in the making.